ALMIGHTY TERRIBLES RETURN FOR ONE NIGHT ONLY! | DAVE CAHILL | Singer, Songwriter, Producer, Dissident. ALMIGHTY TERRIBLES RETURN FOR ONE NIGHT ONLY! Don’t miss the main event! 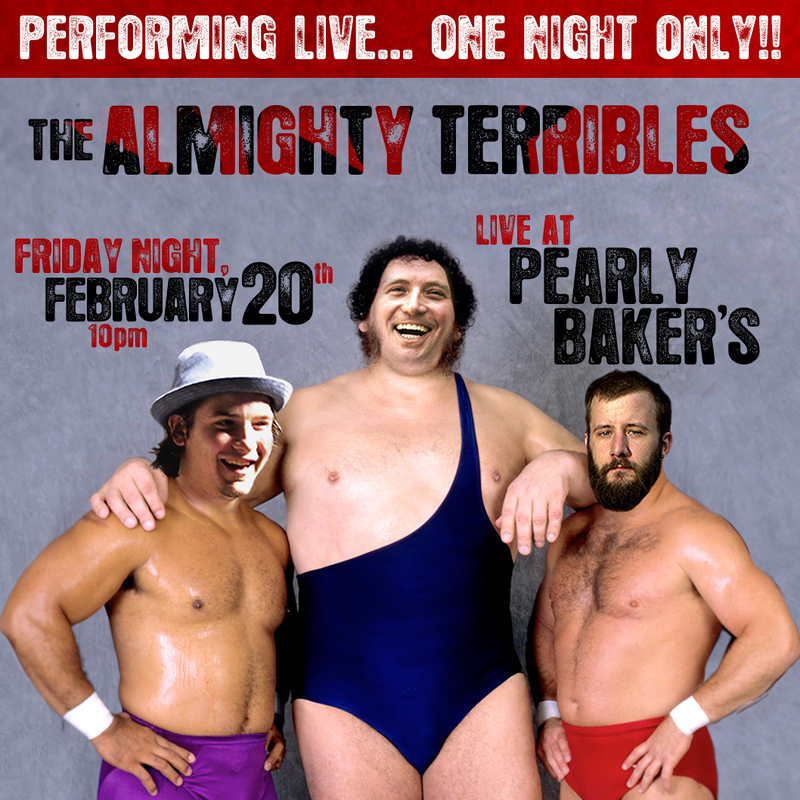 THE ALMIGHTY TERRIBLES return for one night only! 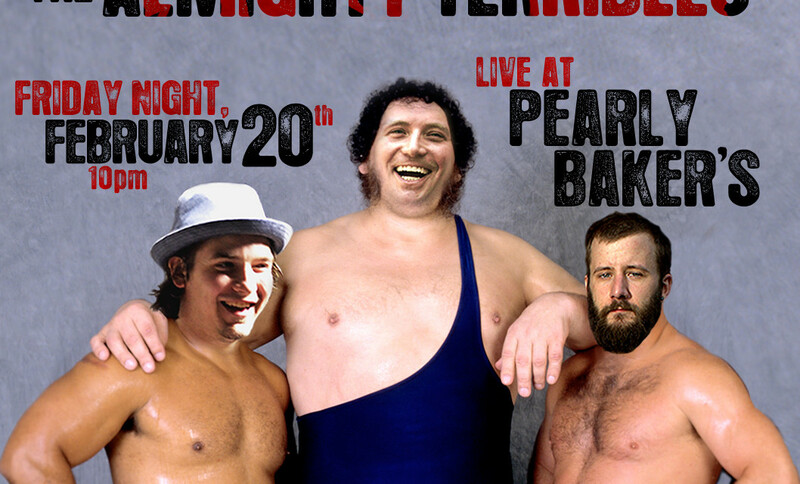 Come see the devastation…live Friday, February 20th, 2015 at Pearly Baker’s Alehouse in Easton, PA. The show begins at 10pm. Notes: ONE NIGHT ONLY! THE ALMIGHTY TERRIBLES REUNION SHOW! PreviousSecret Show at The Space this Friday Night!